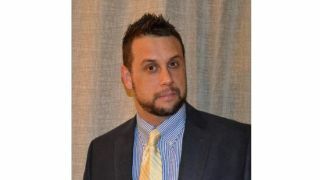 Comprehensive Connectivity Company has added Joel Liffick as Upper Midwest regional sales manager, covering accounts in Ohio, Indiana, Illinois, Michigan, Wisconsin, Minnesota, North and South Dakota, Nebraska, Iowa, Missouri, Kansas, and Kentucky. Liffick has worked in a sales capacity in the AV industry for more than eight years, and possesses extensive technical knowledge of connectivity products. He has spent much of his time traveling throughout the Midwest and Central states in the U.S., training resellers. In his new role, he will cover accounts in a wide range of the upper-Midwest U.S. territories. He is a graduate of the University of Cincinnati and holds a B.S. from Wright State University.